I eat a lot of chicken. I mostly bake it, sometimes I pan fry it. I own a million spices and seasoning blends so it’s never boring to me. However, that doesn’t stop my boyfriend from asking if the “chicken is going to be exciting for dinner.” Well, yes dear the chicken will be exciting and I promise I won’t feed you sometime I wouldn’t want to eat myself. 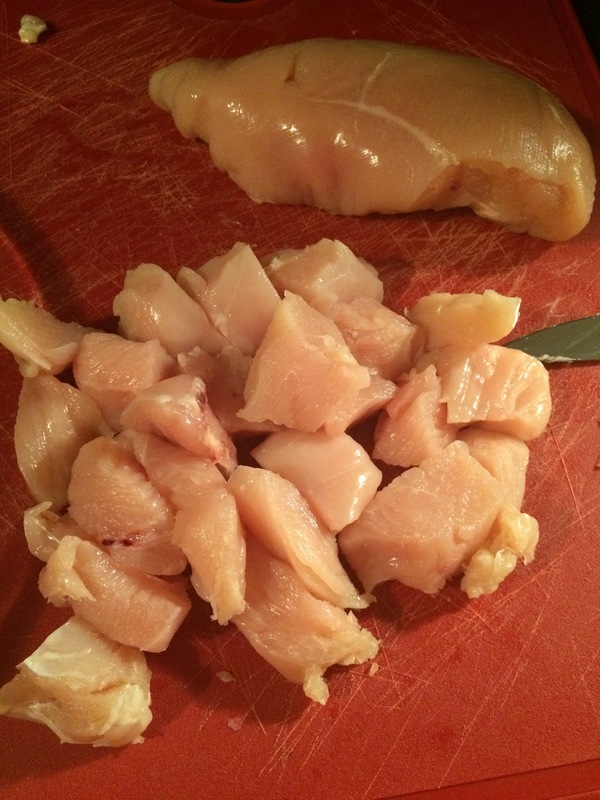 So because he asked again tonight how exciting the chicken would be tonight, I decided to make something a little different for us tonight – homemade chicken nuggets. These are better than any store brand, frozen bag not just because the chicken is fresh and there’s less additives, but you get to play with flavors. To me, flavor is important. It makes food interesting and can really change the dynamic of a meal. So tonight’s flavor of choice was Kickin’ Chicken blend. This recipe is broken down for 1 serving to keep it simple. 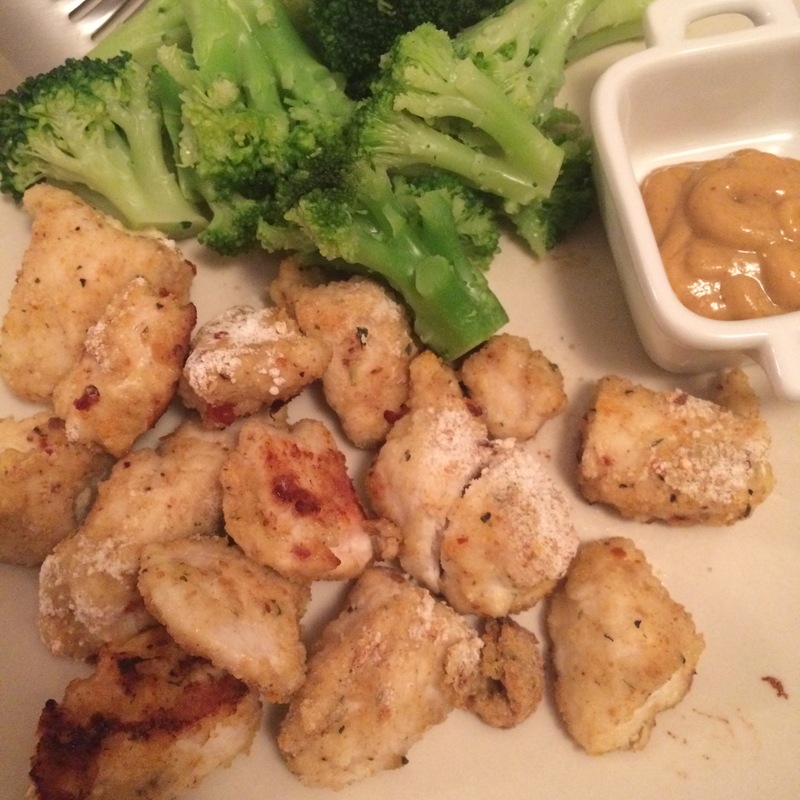 I served my nuggets with 15g of honey mustard and 100g of broccoli. The macros for just the nuggets were 6F, 17C, 31P. Definitely an improvement over the macros from the dinosaur shaped nuggets you see in the frozen food aisle. These were also a winner with my boyfriend. When I started prepping them, he asked if they would be fried. I laughed and said “do I ever fry anything?” He replied, “well, no. Ha, well why did you ask then? For being baked, these little guys had a little crunch because of the cooking spray applied before they went into the oven. Overall, it probably took my 15 minutes to get dinner together and it was a home cooked meal that I don’t feel guilty eating and since I know it was a hit with my guy, I may need to make them more often so he doesn’t feel consumed by chicken breast and “burrito bowls”. 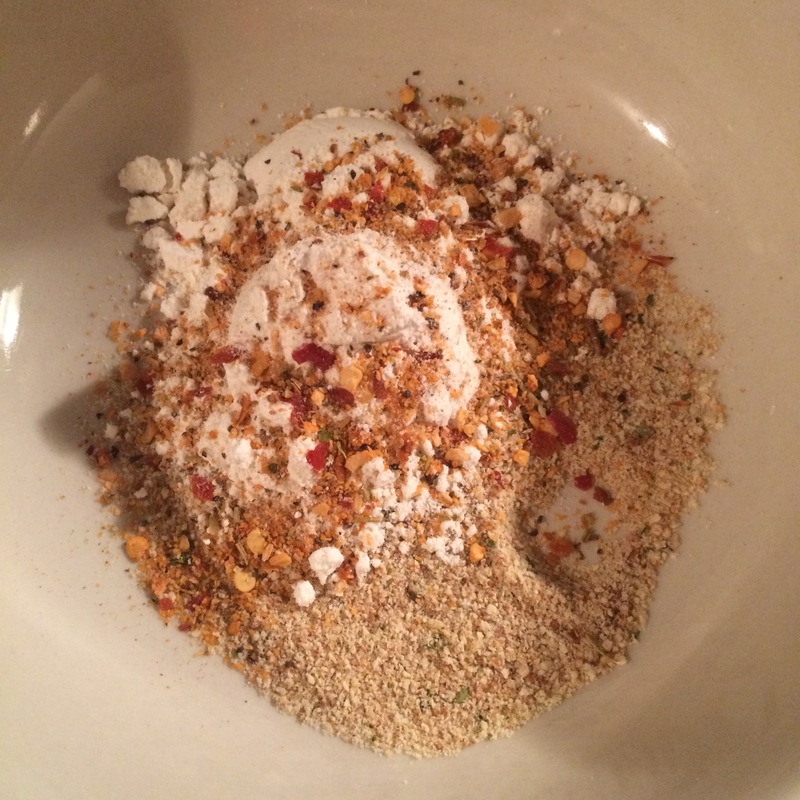 I hope you enjoy making your own nuggets, with spices the possibilities are endless!